Acupuncture is treatment of diseases by inserting very fine and flexible needles at specific acupuncture points. It’s almost painless, effective and safe ancient Chinese therapy. Acupuncture stimulates nervous system releasing opioids, endorphins, cortisol and other substances acting against pain and stress and allowing body to heal itself. Acupuncture closes gates of pain pathway at anterior horn of spinal cord and disallowing pain sensation to go to brain. Do you inject medicine with needles? No, we don’t inject any drug. Acupuncture needles are thin solid needles. Acupuncture does not use drugs to treat diseases. No, acupuncture does not hurt. Needle being very thin and sharp, does not damage tissue so cause pain. It is almost painless. One may feel small prick or very minor burning sensation or heavy feeling at the place of insertion. More than anything a treatment should be a deeply relaxing and sleepy slice of time for you. In which diseases does it work? It is most efficient in musculoskeletal pain like backache, knee pain or shoulder pain. There are many other diseases like gastritis, eczema, deafness that can be treated by acupuncture. World Health Organisation has published long list of diseases that can be treated by acupuncture. Do I have to believe in this to be effective? No, you don’t have to believe in science of acupuncture. It is scientific process not any religious or philosophical belief. Acupuncture just works by itself by physiological and neurological means of body. How many times I have to take the treatment? Generally three to ten sitting would be sufficient for optimum effect. However it depends upon disease may take just one treatment or many more. No! We use pre-sterilised disposable needles. There is no chance of any infection due to acupuncture needles at our clinic. These needles are used once. These needles after use on body are properly disposed. All other equipment used in the clinic is sterilized according to standard procedure to protect against the transmission of infectious diseases. Why do you feel sleepy when needles are in body? The insertion of the needles may send your limbic part of central nervous system to go into a clear pattern of rest (parasympathetic), allowing your healing and recovery to take place. This may be reason as to why patients with stress are also helped by acupuncture. This also indicator that acupuncture is making its effect on nervous system. Can I take medicine already taking? Yes you can take. Acupuncture has additional effects to other therapies. However you should talk to your acupuncturist about the details for compatibility. Please inform your acupuncturist of any other health systems and/or medications which you are currently using so that we may integrate our efforts. Our wish is that you receive maximum benefit from all sources. It is helpful to bring a list of medications and any medical records to the clinic so we can gain a full appreciation of your condition. Treatments are very economical compared to total cost of treatment by any other method. Effect of medicines is temporary and there are side effects. In case of surgery or operation, results are not always predictable in addition to risk to life. There are no side effects of Acupuncture and relief is almost permanent and total cost is comparatively very low. Our first consulting fees is Rs 500/-. Fees of treatment depend upon complexity of disease and treatment needed for particular condition. Such conditions may be treated on single fee amount which may range from 5,000/- to 20,000/-. Otherwise each treatment should cost treatment costs Rs 1000. 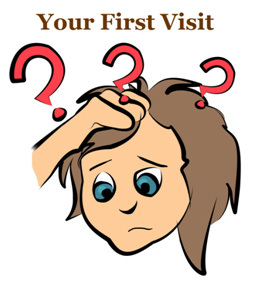 What do I have to know in First Visit? We suggest you to have some food before coming to us. Bring ALL medical records even if unrelated to present complaints. Bring ALL medicines you are taking at present. Bring one person to accompany you. First of you will fill in of bio data related to medical acupuncture for records, follow up and management of further treatments and our research. We advise you to do good home work on your complaints and condition or better write it down on piece of paper. It is our experience that patients themselves are unaware of details of their symptoms, problems and disease, because they are distracted by pain and related issues. We would like to hear full story of your suffering, progress of complaint, treatment you have taken and taking at present and present status. We will also encourage you to explain other complaints associated with main complaint. We will try to assess your anatomical, physiological and psychological reaction to present disease. After detailed talk and discussion, we will examine you, draw inference about diagnosis. You might be asked to walk, do different body movements related to complain to elicit triggering pain or discomfort. You may be asked to concentrate on pain or complaint on such moments. We will examine all your past medical records of investigation, diagnosis, treatment, surgery and of follow up. We will try re-establishing exact diagnosis. This will allow us define role of Acupuncture and other treatments if necessary. We will explain you diagnosis, causes and treatments options and role of acupuncture if any. On the basis of this discussion we will plan your treatment. We will explain method of acupuncture treatment planned and if additional electro-stimulation or Moxibustion if planned. Parts of body to be treated needs to be exposed and examined; therefore clothes need to be loosely fitting easily manageable. You will be lying on bed or examination table on abdomen, on back or on sides. Treatment might also be given on sitting position in certain conditions. Area to be treated may not be sterilised by antiseptic solution as it is not necessary or not indicated to have better acupuncture response. It is proved beyond doubt that non-application of antiseptic solution does not increase changes of infection. Needle will be inserted at point decided by us. You may not feel insertion of needle or feel just minute prick or very minor burning sensation. Needles are generally kept in pace for 10 t0 15 minutes but can be kept for shorter or longer time. In addition, electrical stimulation can be given and we will ask you to communicate if there is stimulation in form of tingling is comfortable or excess and uncomfortable. We will adjust the stimulation strength accordingly. Most of people undergoing acupuncture feel relaxed and energized of session of acupuncture. Realisation of extent of relief from complaint may take some time, therefore we advise patents to walk, go down the staircase and climb again, and relax. Paints suffering from pain for long time get their mind fixed to it and take for granted that pain is always there. It is only after 10 to 15 minutes they realise that pains gone or reduced substantially. We talk to patients again for assessment of relief and any particular problem remaining. We might giving additional treatment if feel necessary. Full effect of treatment may take 3 to 4 days to realise. In our experience 85-90% of patients respond to acupuncture treatment. Positive approach and being relaxed and work plays big role in response to treatment. We need to assess full effect of treatment which may take more than three days, therefore next sessions generally planned after one week. If patient does not get any relief in three days, he or she is unlikely to benefit at all. Whole process should take about 30 minutes. We advise you to stay in waiting room to let any physiological and psychological effect wear off before going out or driving.